Techware Labs - Articles - Conficker - Is it REALLY a Virus? Conficker - Is it REALLY a Virus? A lot of people out there have heard the name "Conficker" going around lately. You may also have heard it referred to as the Downup, Donwnadup, or Kido virus. It's an April Fool's Day Virus that's been going around the office since October 2008, mainly attacking the Microsoft Windows operating system. But what really is the Conficker virus? Conficker breaks down to two words, "conflict" and "ficker." Ficker in German means F*$%. This sounds like a terrible beast, but how come we haven't heard it in mainstream chatter until a few weeks ago? 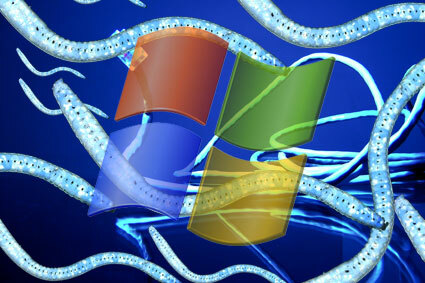 Here's the reason, Microsoft is offering $250,000 for the person who finds the inventors of the Conficker virus. I've looked into this "virus" and have carefully examined the code of this thing in the lab. As it turns out, I now know why people have been covering it up, and why Microsoft is offering a reward for the people who stop it. At approximately 4:20PM, the Conficker virus becomes nothing more than a raffle ticket. That's right...a raffle ticket. One lucky IP address will win $4,000,000. I wish this was a joke, but I'm serious people. The only catch is that you have to send your PayPal information to a man in a distant country. He will have his lawyer transfer the money to your account no less than two days later. Again, I'm serious about this. That's why Microsoft has been covering it up. They OBVIOUSLY want a better chance at winning the $4MIL, rather than the American public. Editors Note: This is a joke. It is April Fools. Please do not infect all of your computers, hoping to get your shot at money that will never come to you. We hold no responsibility for the incompetence that leads to the destruction of your computer.